Business to business markets are considerably more challenging than consumer markets and demand specific skills from marketers. Buyers, with a responsibility to their company and specialist product knowledge, are more demanding than the average consumer. The products themselves may be highly complex, often requiring a sophisticated buyer to understand them. This new edition has been completely rewritten, and features expanded sections on globalisation and purchasing, plus brand new sections on social media marketing and intellectual property. 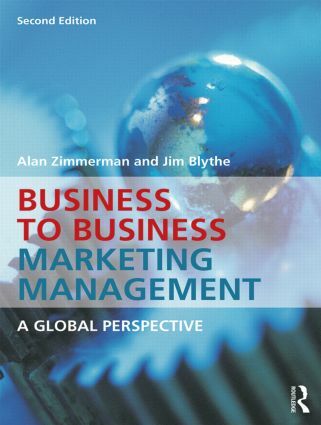 More selective, shorter, and easier to read than other B2B textbooks, this is ideal for introduction to B2B and shorter courses. At the same time, it's comprehensive enough to cover all the aspects of B2B marketing any marketer needs, be they students or practitioners looking to improve their knowledge.